Today I wanted to share my new passport pouch I created for my trip. I wanted something that was fun and cute, but didn’t have a tonne of unnecessary pockets, just a home for my passport and a bit of cash. Sewing this passport pouch is easy, and perfect for a beginner with a little bit of background sewing knowledge. 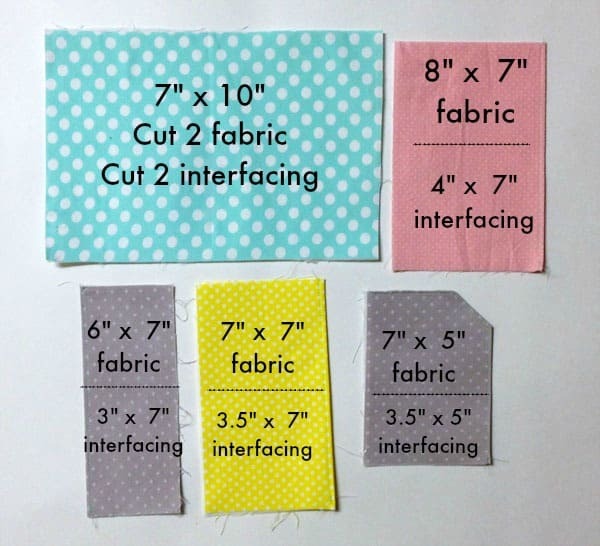 Sew or iron interfacing to each piece of fabric, lining it up with the bottom raw edge. 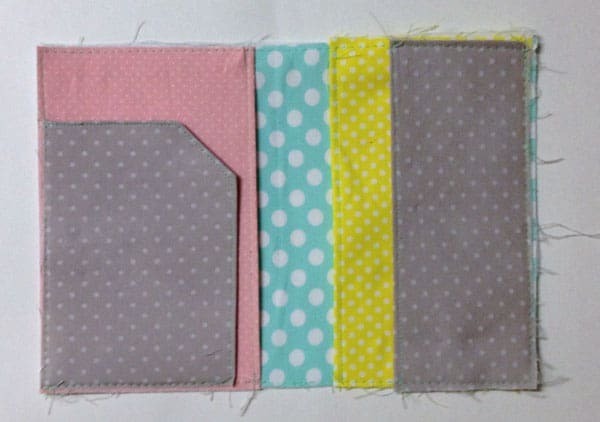 Inside pocket pieces (everything but the blue fabric), fold the fabric over, sew a line on the fold. For the angled piece, clip the corner from one edge of the rectangle, turn right sides facing and sew along the top and long edge, turn right side out. Press. If you wish to embellish this pocket, add applique and sequins. Front cover- Embellish front cover as you wish. 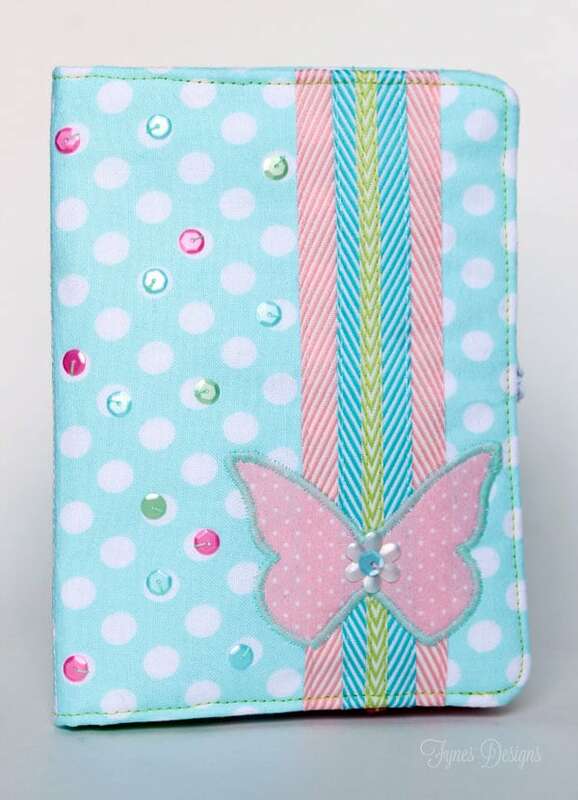 I added May Arts chevron ribbon, and Pink Posh Sequins. 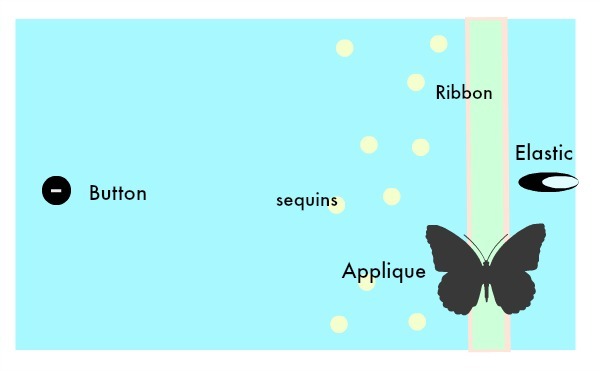 I forgot to snap a picture of the front so I made this diagram. You will also add a button and elastic for a closure, make sure they line up properly before continuing. Now that the inside and the outside pieces are assembled, place right sides together and sew around the parameter (back stitch over the elastic ends to secure) leaving a 5 inch opening along the bottom edge in the centre of the pouch. Clip corners and turn pouch right side out. Press open edges in. Top stitch around the edge of the entire passport pouch. 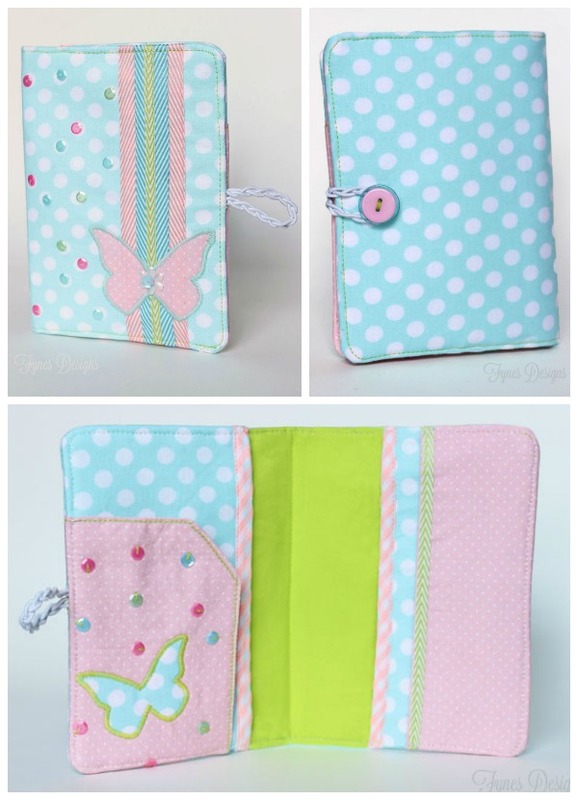 There you have it an easy pretty passport pouch for all your travels! Thanks for joining me today for this quick Passport Pouch sewing tutorial, check out the May Arts Blog for more inspiration. Such a cute passport pouch! I will try to make one, too , now that I can see how easy it was to put together. Thanks for sharing this post! THanks for stopping by Lian. Please share a pic if you make one, I’d love to see it! Love this. I’m putting it in my “keep” emails. No more plastic baggies for my passport! Awesome project! Love how you combined the fabric and sequins. Thanks for sharing with us. Canadian indeed! Where are you? This is the greatest tutorial ! I made one and now everyone wants one . I wish I knew where to post a picture . Thanks for sharing your ideas ! swing by my facebook page. I’d love to see the finsihed product!